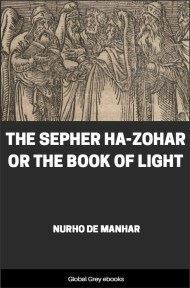 From the Introduction: "I do not pretend to have explored for this little work...the Midrash in the whole of its scope. 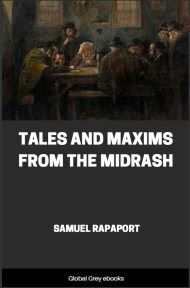 I have not even as much as touched the Pesikta (the oldest of all Midrashim) Mechilta, Yalkut, Sifra or Sifré; but have restricted myself to about nine hundred quotations from the following Midrashim, viz. 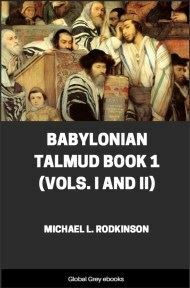 Rabba on the five books of Moses and the five Megilloth, Tanchuma on the Pentateuch, and the Midrash on Psalms, Proverbs and Samuel." THE great conqueror Alexander the Macedonian, the son of Philip, who, at the instigation of the Persians, was assassinated by Pisanius, when yet a boy showed great thirst for conquest. When he heard of his father's conquests he wept bitterly, complaining that by the time he assumed the crown there would be so little for him to conquer. He was barely twenty years old when he ascended the throne, but he knew well how to make his power felt. He soon conquered the Thracians, as well as the rebellious Thebans, and his heroic qualities developed so rapidly that he was appointed by the Greeks as military chief in their wars against the Persians. Uninterrupted success followed his arms, and had he not died at a comparatively early age he would probably have conquered what was then known as the whole world. His victory over the Persian General Memnon, on the river Granicus, in the North-West of Asia Minor, opened for him the road into the interior of further Asia. He was not slow to take advantage of the opportunity, and pushed rapidly through the States of Asia Minor, through Lydia and Ionia to Pamphylia. In the latter, near Issus, he gained a brilliant victory over Darius the Third, also known as Codomanus, who narrowly escaped death, leaving his mother, his wife and his children in the hands of the conqueror. The Macedonian hero, with his troops intoxicated with victory after victory, now entered Syria, not so much in pursuit of Darius as with a view to extending his conquests. He took Damascus and Sidon, and attacked Tyre, so as to become master of the sea also. That city, however, being very strongly fortified, and being on one side protected by the sea, offered a stubborn resistance, and Alexander found himself compelled to embark on a long siege. In order to prevent any untoward event during the siege, Alexander was anxious to ensure immunity from the neighbouring State. He therefore sent a message to Jerusalem, with a letter to the High Priest Jedua with the following requests: (1) To supply him with troops; (2) to allow free traffic between the Macedonian army and Jerusalem; (3) to give him every possible assistance, such as had been granted to Darius. A hint was also thrown out that the High Priest would do well to consider whose friendship and goodwill was of greater value--that of the victor, or that of the vanquished. 'Recognition and high esteem are undoubtedly due to so glorious a hero, yet for the present the Jews of Jerusalem cannot comply with his wishes, for these reasons: We Jews have promised our loyalty, on our oath, to Darius. So long as that Prince lives the oath has its force, and the Jews could commit no sin so grievous as wilful perjury, seeing that one of their commandments, with which God has entrusted them, is this: "Thou shalt not take the name of the Lord thy God in vain, for the Lord will not hold him guiltless that taketh His name in vain."' The High Priest moreover mentioned instances--such as Zedekiah, the last King of Judah, who became disloyal to the Babylonian ruler, his former allegiance notwithstanding, and brought calamity upon himself and upon Judea. 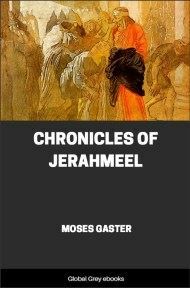 He further pointed out that Moses' teaching tends to show that the God of Israel is a God of Truth, that treachery and untruth bring misfortune on those who practise them, and that it is incumbent on every true adherent of the teaching of Moses to avoid all falsehood and duplicity. 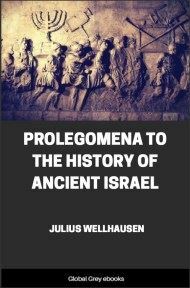 Alexander would perhaps have been satisfied with the explanation offered by the High Priest Jedua, had it not been for the Samaritans, who, whilst practising all sorts of idolatry, were at the same time anxious to unite with the Jews, and to be considered as a portion of that body. When the Jews repudiated them, they sought to set up a temple of their own on the model of the Jerusalem Temple. 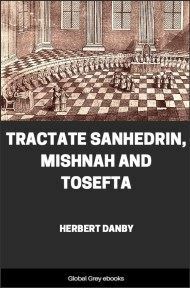 Menasseh, a brother of Jedua, formerly a priest, having married a Samaritan woman, the daughter of a Samaritan governor, was deprived of his office of priest in the temple, and was naturally all the more anxious to set up an opposition temple, in which he could exercise his priestly function. The Samaritans therefore strained every nerve to excite Alexander's illwill against the Jews, and to obtain his sanction for the erection of a temple on Mount Gerizim. 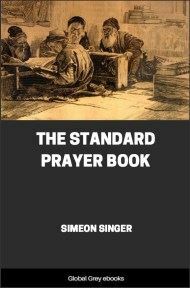 Sanblat, the Governor of Samaria, and father-in-law of Menasseh, the expelled priest, sought audience of Alexander, and took the opportunity to give his version of the motives of Jedua, the High Priest, in refusing Alexander's requests. He maintained that loyalty to Darius was not the motive of the refusal, as the Jews, he said, knew nothing of loyalty, but, on the contrary, would overthrow every throne not occupied by one of their own people if they had the power. He said that they were priest-ridden, and that if there were any who would join his (Alexander's) army, they dared not venture it, as that would exclude them from participating in the Temple service, which to them meant moral death. If he (the Macedonian) would only secure an alternative to the Jerusalem Temple by sanctioning the opposition Temple which the Samaritans were anxious to set up, this would bring large numbers from Jerusalem to the new Temple; and the newcomers, no longer fearing exclusion from the Jerusalem service, would gladly join with the Samaritans the banner of the great conqueror Alexander. It is perhaps not surprising that the Macedonian conqueror was much impressed with this plausible version, especially when the Samaritans, as an earnest of their acceptance of and adhesion to the new state of affairs, deserted en masse the ranks of the crushed Darius, and went over to Alexander's army.